More than two decades of spectacular economic growth in China have raised incomes dramatically and lifted millions of people out of poverty. But growth hasn’t benefited all segments of the population equally. In fact, China has moved from being moderately unequal in 1990 to being one of the world’s most unequal countries. Inequality is likely to rise further without additional policy changes. US President Donald Trump’s headline-grabbing trade war with China should not obscure a broader pushback against the country’s mercantilist trade, investment, and lending practices. In fact, China’s free ride could be coming to an end. On a recent official visit to China, Malaysian Prime Minister Mahathir Mohamad criticized his host country’s use of major infrastructure projects – and difficult-to-repay loans – to assert its influence over smaller countries. While Mahathir’s warnings in Beijing against “a new version of colonialism” stood out for their boldness, they reflect a broader pushback against China’s mercantilist trade, investment, and lending practices. It is extraordinary that the anti-nuclear, peace-loving Germans should be toying with such ideas. For 70 years, the NATO alliance has ultimately rested on the belief that, in extreme circumstances, the US president would be willing to risk the destruction of Chicago to protect Berlin. Yet Donald Trump’s catastrophic summer foray into Europe – in which he mused to alliance leaders that, unless Europeans shaped up, the US might “go our own way” – has rendered any such belief untenable. Russia will bolster the Syrian air defense network in the wake of the accidental loss of its IL-20 surveillance plane in Syria. Its measures to enhance Syria's air defenses will not stop Israel from conducting further airstrikes in the country. Israel's insistence on continuing to stage attacks in Syria, combined with Russia's increasing efforts to prevent it from doing so, will improve the chances of the Syrian civil war escalating into a larger conflict. Now, we are pleased to present a third-place essay from Harrison Manlove at the University of Kansas. 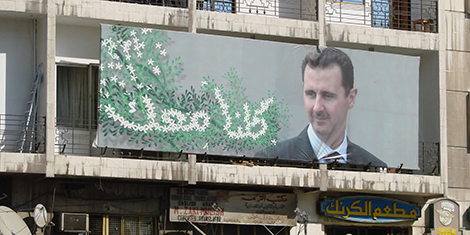 Russian strategy in Syria and the broader Middle East consists of supporting what it considers legitimate institutions through extensive foreign aid programs, including economic and security assistance, political support and, as seen in Syria, direct military intervention. However, there are caveats to this strategy that include history, policy goals, and the ability to exploit lack of foreign attention to Russian activities and capabilities. The Trump administration is reportedly considering sanctions against China in response to Beijing’s mass detention of ethnic Uighurs in its western Xinjiang province. This comes after a bipartisan group of lawmakers called the situation an “ongoing human rights crisis” and urged the White House to act. Yet it will take much more than a letter from Congress for President Donald Trump to become a champion of the Uighurs’ human rights. He and his advisers will have to be convinced that elevating the plight of Chinese Muslims above other elements of the U.S.-China relationship would clearly serve the president’s agenda. In the past few years, American attitudes toward China have been shifting. The change/shift did not start in the Trump era, as US observers argue. It began with President Obama’s effort to militarize and split Asia. As the veteran journalist’s Bob Woodward’s new book Fear: Trump in the White House is shaking the Trump administration and the polarized America, Washington’s trade hawks threaten to escalate their tariff wars. Historically, times of trade wars and protectionism tend to go hand in hand with negative attitudes toward other nations - and our era is no exception. According to newly-launched survey by Pew Research Center, American attitudes toward China have become somewhat less positive over the past year. Overall, 38% of Americans have a favorable opinion of China, down slightly from 44% in 2017. In recent years, something similar has also been reported in America regarding the attitudes toward other countries, particularly emerging and developing nations. Of the 195 countries the United States interacts with, three countries are not fazed when President Trump rails against NATO, NAFTA, United Nations, World Trade Organization, climate accord, European Union, Iran’s seven-nation nuclear agreement, TPP and imposed trade tariffs. China is the biggest exporter to the U.S. ($502 billion annually) and only imports $122 billion of American products. Should China feel threatened by the litany of Trump’s unprecedented policies? China Has a ‘Space Force.’ What Are Its Lessons for the Pentagon? The U.S. military must find new ways to leverage commercial innovation in order to contend with China in space. 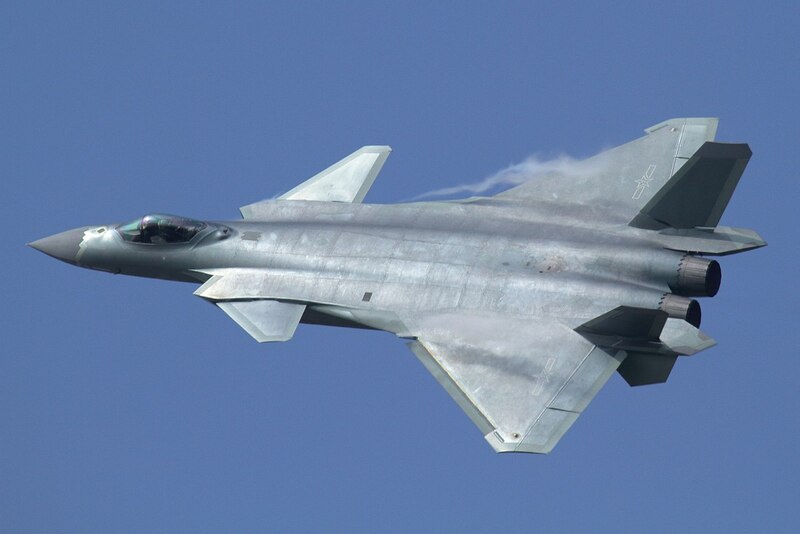 The Chinese military seems to agree that the current U.S.approach to space is hindered by some serious shortcomings. If the United States is to maintain military advantage in space, as President Trump has promised – and as his new Space Force is meant to do – U.S. policy and strategic decisions should be informed by an understanding of China’s ambitions to become an “aerospace superpower” (航天强国) – and how the Chinese military has reorganized itself to seek dominance in space (制天权). 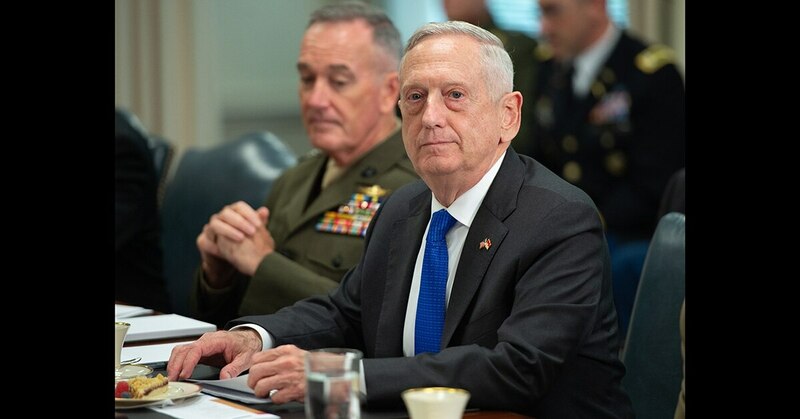 Secretary of Defense Jim Mattis predicted the U.S. government will one day offer cyber protection to businesses that work with critical infrastructure and may even extend such a buffer to some individuals. The top Pentagon official said during a Sept 25. speech at the Virginia Military Institute that he envisions a voluntary program that would be spurred by the rapid change in technology. The open application ecosystems of the internet are dominated by a handful of tech giants today, but crypto technologies could level the foundations of the modern web to establish free and open access to information, connection and exchange, according to this opinion piece by Philipp Stauffer, co-founder and general partner of FYRFLY Venture Partners. In Zug, Switzerland, the annual Carnival celebrates Greth Schell, a folk hero who carried her husband home in a basket on her back after he drank too much at the inn. Zug, now known as Crypto Valley, plays the role of Greth for an internet that appears to be inebriated and in need of help — that is, if you judge the internet by its founders’ intentions. Located just outside Zurich, Zug is pioneering Web 3.0, a new internet architecture based on crypto technologies. Local startups like Ethereum Foundation, Bancor, Xapo, Dfinity, and Status.im are challenging Web 2.0, the architecture we have now, or that has us, depending on your perspective. 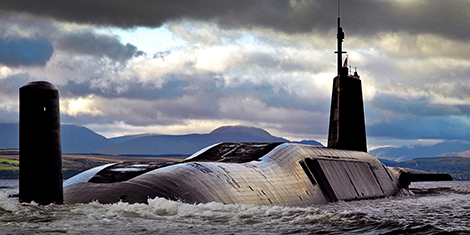 NATO’s governments can’t agree on what constitutes a cyber attack, and that’s a big problem. Estonia’s new ambassador-at-large for cyber security, Heli Tiirmaa-Klaar, recently explained to the Wall Street Journal that “compared to many other security fields, in cyber we have reached maybe 10 percent of total readiness to understand the threats, to respond to threats and also to prevent the threat or maybe deter the threat. We have lots of room for development.” She’s right; just look at the most basic of metrics: How do governments count cyber attacks? How do they classify them? Uncertainty is the heart of quantum information sciences. 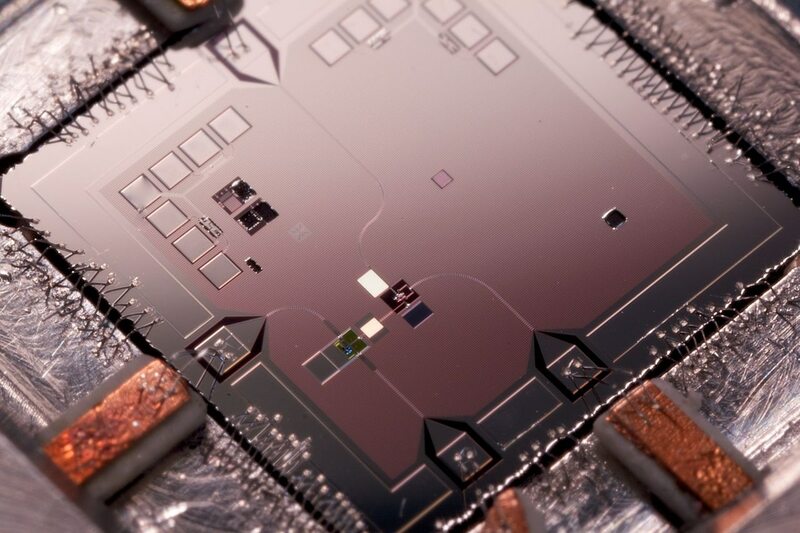 Drawn from 20th century work in quantum mechanics, computer science and cryptography, quantum information science promises better and more secure computing, but the exact nature of the benefits will have to be sussed out through scientific research and then refined into technology. In anticipation of some great benefit from this work, earlier this month the National Science and Technology Council released a grand strategy for how the United States. It is an inherently strange document, a draft of the future posture written in the sterile and analytical language of the strategy form, all hinged around a science whose future benefits remain unknown. With Apple devices in pockets and on desktops and wrists around the world, it's hard to imagine modern life without them. But in the late 1990s, after a series of failed product launches, the tech giant was losing money and "90 days from being insolvent," according to Steve Jobs. The big turnaround began with his return to the fold, as he reduced Apple’s product lineup by 70% and let go of about 3,000 employees. His new strategy was to focus the company around four key items: one desktop and one portable device each for professionals and consumers. A year after his return, the company turned a $309 million profit. This success was followed by the launches of the iMac, iPod, iPhone and iPad, all of which transformed not only Apple’s fortunes, but the way we live our daily lives. 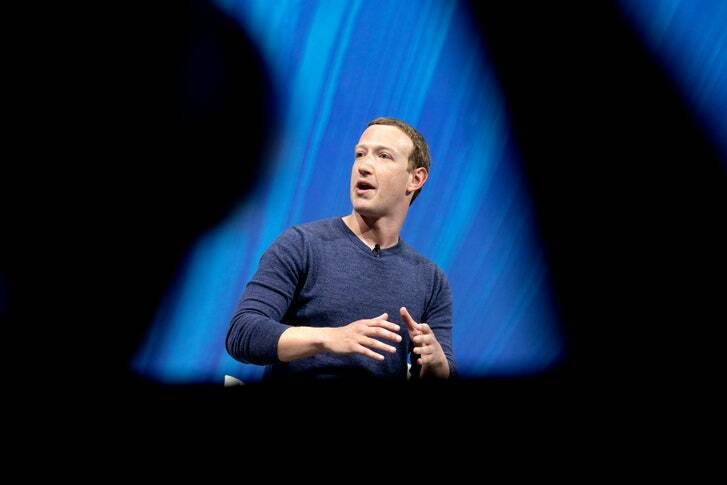 At Facebook headquarters, in Menlo Park, California, no tour is complete without the story of the big sign at the front gate: when Mark Zuckerberg, the founder and C.E.O., moved his company to the site, in 2011, he did not remove the sign of the former tenant, Sun Microsystems. In the nineties, Sun had been a giant so dominant that it considered buying Apple, but Sun later sank into a long fadeout, and it was acquired by Oracle, in 2009. Zuckerberg turned Sun’s sign around and fastened Facebook’s name to the other side—a reminder to himself and his employees that success is fragile. Five suggestions to reduce injury and increase combat efficiency. Family or team? It is becoming the organizational culture version of the born or made question in leadership. 3×5 Leadership recently ran a great piece that broke down two competing theories on the topic. I recommend you read “Are We a Family or a Team?” and the books he references (Dan Coyle’s The Culture Code and Todd Henry’s Herding Tigers). This post will focus more on a personal view with the only expert invoked being Sun Tzu.